Our Contact Point mental health day resource centres in Kirkcaldy and Buckhaven encourage service users to lead on the services and encourage people to become the best they can be. dual diagnosis (for example mental health annd learning disability; mental health and/or drug, alcohol problems). The service is for people aged 18 and over who wish to improve or maintain their mental health. Many of the service users are experiencing, or have experienced, serious and/or enduring mental illness. The services help reduce hospital admissions and re-admissions. 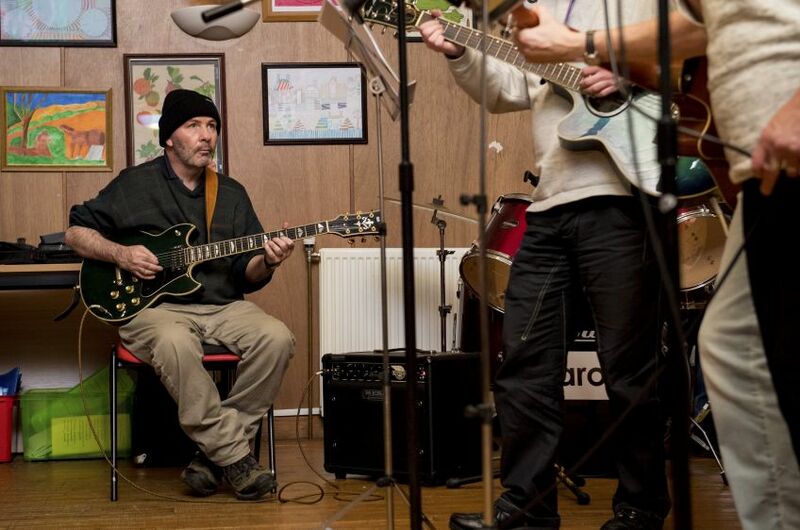 All groups, activities and events were created by service users to help meet their needs. Kirkcaldy & Levenmouth Community Health Partnership. Address: Contact Point – Kirkcaldy, 411-417 High Street, Kirkcaldy, KY1 2SG. Address: Contact Point – Buckhaven, 22 Lawrence Street, Buckhaven, KY8 1BQ. Our centres provide services to around 250 people. They have active links with local mental health social workers, occupational therapists, community psychiatric nurses, health visitors, community drug teams, psychiatric day hospitals and other local voluntary groups and education/training agencies. Staffing at both centres include a full-time Contact Point Organiser, two full-time Support Workers and one Community Support Assistant. Volunteers promote, develop and deliver services as well as provide support to service users who wish to take part in groups and activities. Volunteers receive training, including a one-month induction programme and a six-week training course. The service is provided over six days, Sunday to Friday, with each centre providing evening sessions. A range of groups and activities are offered along with specialist sessions about advice and information, social support, personal development, new skills development and social interaction. Outcomes are based around each individual. Some service users have gone on to jobs, returned to education, have become volunteers or have noticed a significant improvement in their mental health. increased opportunities to take part in physical activities via structured supervised planned sessions. our philosophy, purpose and values, practice and procedures are all written, negotiated and implemented via a process of meaningful consultation involving service users. - Lunch 12:30 (orders by 11am). - Dinner 5pm (orders by 3pm). - Phone in orders on the payphone number 01592 640 611.